Having Food Allergies today is not like when this Allergic Traveler was a kid. Believe it or not, there are actually advantages to having them today. For instance, so many people are aware of what a food allergy actually is. The media and active mothers have done a great job in bringing more awareness to the issue. Admittedly the number of those of us with dietary restrictions has gone up in the last 20 years. See stats here. No longer is it just a child or two per school, now it is approximately two children per class. So what does that mean to those of us with food allergies in today’s day in age? Well it means there is now a whole industry that caters (pun intended!) to us. They have all have become a resource to parents and children with food allergies. Our industry is worth 25 billion dollars today. See more stats here. It is likely to keep growing as health issues are becoming more and more prominent in our country and worldwide. One such author, Amber Devore, is trying to help make a difference in young children’s lives that have food allergies. Devore has come out with a great book that acts as a teaching tool for young children. She was inspired to write this book after her son had an anaphylaxis reaction and was then diagnosed with an allergy to nuts and sunflower seeds. The book covers such topics as understanding food allergies, understanding reactions and what to do. This is wonderful book because it helps kids with food allergies not feel alone. There’s a certain level of “it’s Ok, you’re not a freak” sentiment to the book. What I mean by this is, that children who have food allergies, as many kids with differences, just want to be accepted and normal. This book lends itself to this concept. I recommend picking up this book. It is an excellent addition to your child’s life, whether or not they have food allergies. 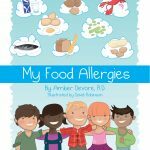 Get your copy here or simply leave a comment for your chance to win a copy of this food allergy book giveaway. Winners will be chosen at random. Winners will be announced 5/3. Good luck! Love this give away! 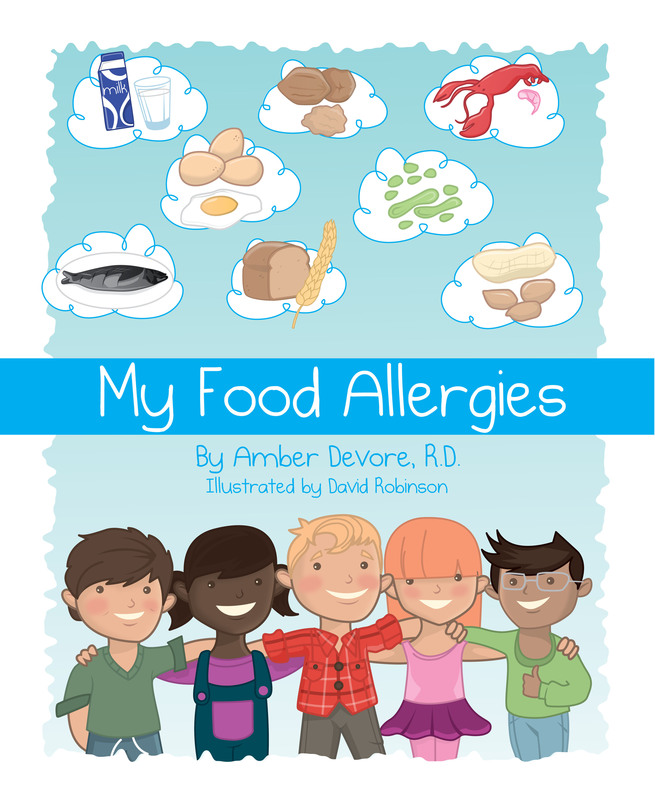 I present to elementary classes frequently on food allergies and this book looks like a great resource! After all the entries have been tabulated (or thrown into a hat! )…our winner is Audra! Congrats. Please email Tarah@allergictraveler.net Thank you all for participating and to Amber Devore for this great giveaway!